Advanced 3-Day Combat Backpack | BUDK.com - Knives & Swords At The Lowest Prices! Excellent backpack! More room than I imagined!! budk beat EVERYONES price and super fast shipment! Well made and sturdy, this back pack has no problem carrying the 45 lbs of stuff I need. Has plenty of space for what ever is needed. Great backpack for the price! Overall very durable and there is a generous amount room for all types of gear. Includes hydration pack and several removable/adjustable pockets. All straps are adjustable at several points to get a perfect comfortable fit. 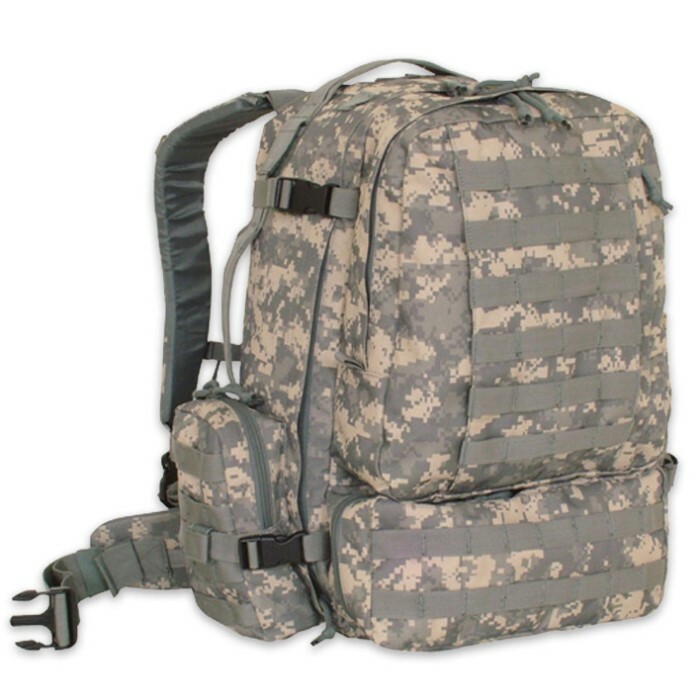 Would recommend this to anyone looking for good hunting backpack or bug out bag.